Back on September 29, 2008, Vertigo Brewing received its brewery license and began brewing professionally. Founded by two Intel employees, Mike Haines and Mike Kinion, the two co-workers decided it was time to move on from their corporate jobs and follow their passion. 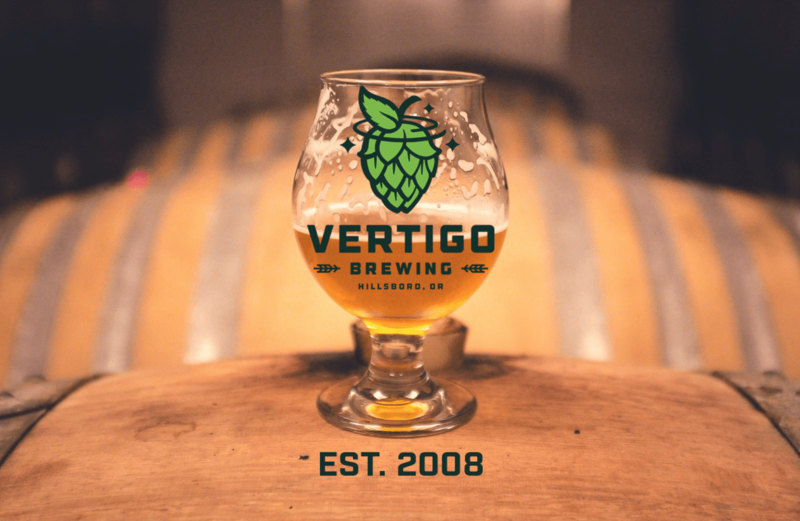 Now ten years in, Vertigo Brewing is set to host its 10th Anniversary at its Taproom in Hillsboro, Oregon on Saturday, September 29th from 1:00-9:00pm. This daylong celebration will feature a $4.00 Brewers’ Choice IPA served in a free commemorative anniversary pint glass to take home, while supplies last. There will also be raffles throughout the day including a brew session with Mike and Mike of one the brewery’s flagship beers. Both Mad Greek Deli and Cajun Papa’s will be on site serving up food during the day too! Mad Greek Deli will serve a special menu of broasted chicken and calamari and if you haven’t tried the jambalaya from Cajun Papa’s you’ve been missing out. 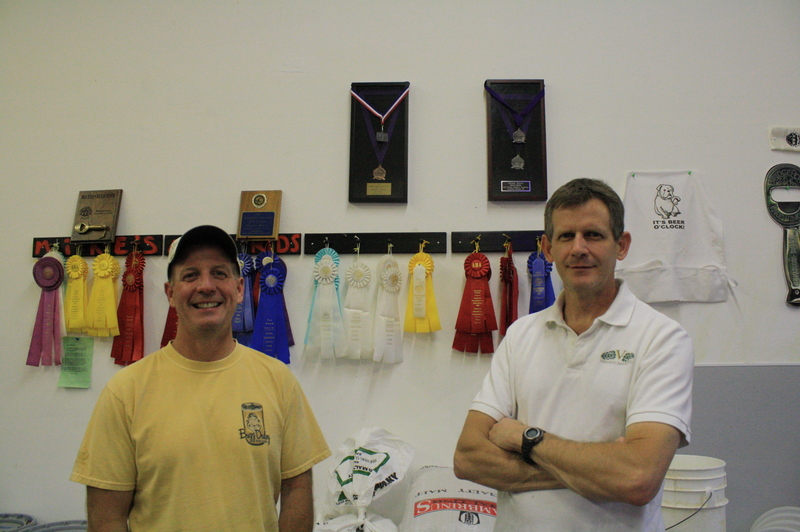 Here is our interview with co-founders Mike Haines and Mike Kinion. Ten years ago you two started Vertigo Brewing. What made you decide to take the leap from homebrewing to brewing professionally? When you started Vertigo Brewing you two were still working at Intel. How challenging was it working full time while opening a brewery? Mike & Mike: Very! Our day jobs took precedence over starting a brewery, which meant Intel got our daylight hours, and the brewery nights and early mornings. Didn’t see the family much during those days, but we did get to see pictures of our kids growing up. Looking back, would you have done anything different? If so, what would you have changed? Mike & Mike: Looking back at it, we should have opened our taproom sooner, preferably at the same time as the brewery! It’s one thing to have the capability to produce product, it’s another to move the product and generate some much-needed income. Having had our own taproom early on would have helped us build a customer base and establish brand recognition much sooner. What has been the most rewarding experience in your ten years brewing professionally? Mike & Mike: There have been many. This probably goes without saying, but having had the opportunity to be a part of the brewing community here in the Pacific NW has been a phenomenal experience. We have networked, been educated, built friendships and had a lot of fun in the brewing industry as well as in the taproom. That would never have happened without starting Vertigo. We have had people meet here and end up marrying, I mean how cool is that? It has also been very rewarding giving back to our local community who has supported us for all these years. Oh, and winning a bronze medal at GABF in 2016 felt pretty good! What advice would you give any other aspiring homebrews wanting to open their own brewery? Mike & Mike: Where do we start……. I guess our first questions to any aspiring home brewers wanting to open their own brewery would be ” Are you certain you want to own a brewery? Or do you want to be a brewer?” Those are two very different paths. If you are certain you want to open your own brewery, have a detailed plan in place to get you through the first 3 years while you build your brand and create a customer base. Be prepared for a lot of hard work, long hours and unexpected forks in the road. Even with the best laid out plans, there will be bumps in the road that arise and will be out of your control, so be flexible. Produce solid products with a great marketing and sales push early on. And lastly, never stop growing and learning. When you reach the point where you think your products are finally “there”, they are probably not, strive to make them better. If you want to brew beer and not run a business for a living, brush up that resume, find breweries that are hiring and get out talking to people. On Saturday, September 29th you will host your 10th Anniversary Celebration. What should attendees expect? Mike & Mike: It is going to be a party. We have two amazing food trucks lined up, Mad Greek deli and Cajun Papa’s, both are super popular carts. Your first beer comes in a commemorative pint glass that you will get to take home. We will be raffling off swag throughout the day and a “Brew with the Vertigo Brewers” prize. Hoping to see a lot of familiar faces and personally thank a lot of long time supporters. Vertigo Brewing will celebrate its 10th Anniversary on Saturday, September 29, 2018 from 1:00-9:00pm. Minors are welcome in their outside area.